Party People Celebration Company is thrilled to work with Lakeland High School for years bringing their Prom theme to life....this year A Night under the Stars! 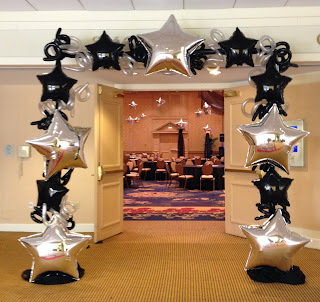 Stars and Curls entrance serves as a great photo spot and way to start the Night Under the Stars theme. 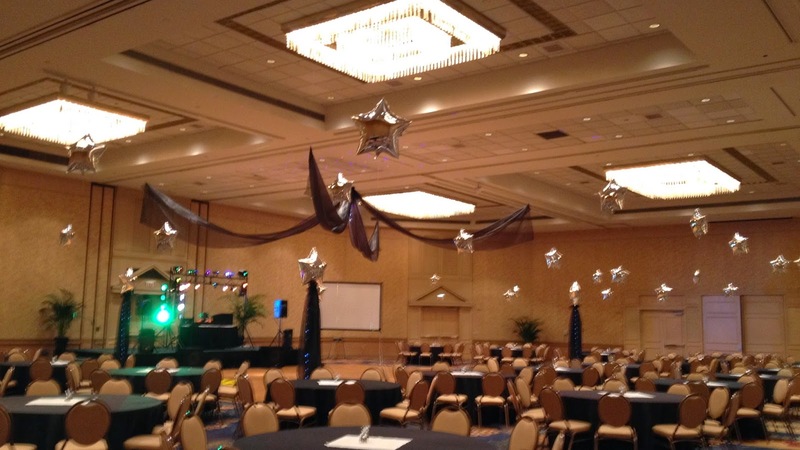 Prom was held at Hilton Lake Beuna Vista, near Downtown Disney. 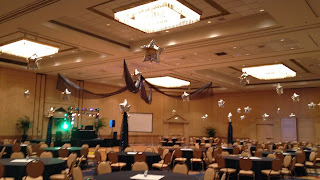 Silver stars above each table fill the room with a star filled sky! 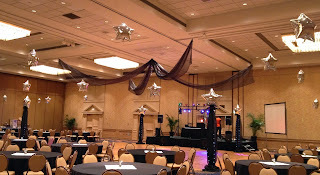 4 Fabric columns with battery operated lights and a 3 ft silver star balloon topper plus Organza canopy mark the dance floor. This same style of Columns and room décor can be created in any color combination. 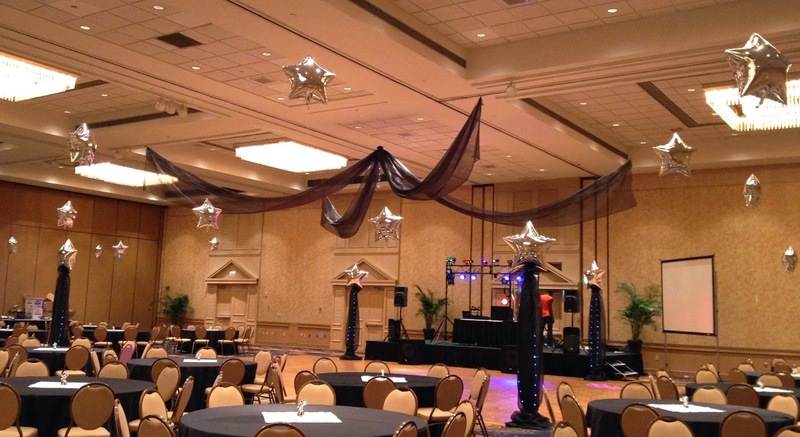 Call 863-255-2025 or fill out our contact form at http://partypeoplecelebrationco.com to have Party People Celebration company decorate for your prom or special event in Central Florida.